Mercury Article: Can we protect Weston’s beautiful scenery? I hope everyone had a good Christmas break? January is usually the time when we all vow to stop waistlines expanding and bank accounts shrinking, and live more healthily. 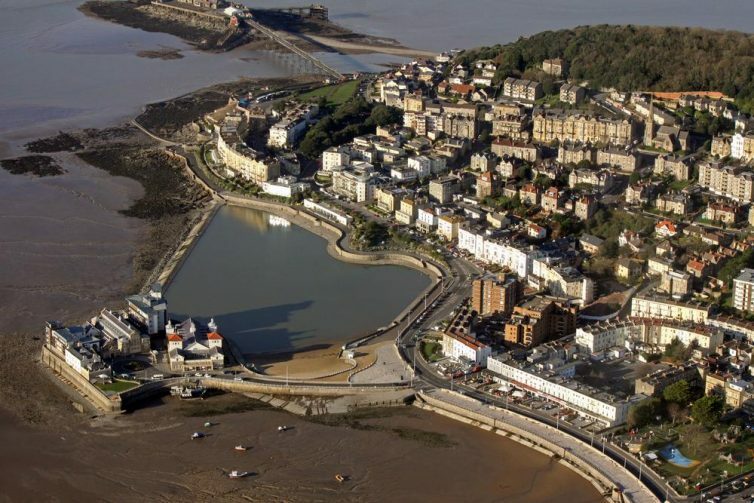 And what could be healthier than a bracing winter walk along Weston’s beautiful seafront, or Brean Down with its glorious (and, at this time of year, rather bracing) view of the bay? But if you’re a fan of Weston’s scenery, bear in mind that your particular favourite bit might not last forever. As I pointed out in a feature article in last week’s Telegraph, we already protect individual historic buildings like Weston’s old library, or even whole rows of houses in conservation areas like Clarence Park. But the system which protects entire urban landscapes – important places like Bath’s Royal Crescent – is horribly complicated and difficult. So the best bits of Britain’s town and cityscapes aren’t nearly as well protected as our rural landscapes. And that’s a problem, because most of us live or work in places like Weston or Bristol and, frankly, they’re much nicer places if they’re pretty. And by protecting the bits that are beautiful, we can make it easier to invest and regenerate the bits that aren’t. The system ties up some decaying old sites in red tape, making it too hard to rebuild and redevelop them properly. So I’ve challenged the Government to rewrite the rules, creating a new, simpler system that’s easier to understand so rundown areas can be given a facelift without ruining the best bits. I don’t know if my favourite Weston views, like Royal Crescent and its twin in Ellenborough Park, or Uphill’s old church, would be included on everybody’s list. But I seem to have begun a debate that makes people look at things differently, and that’s not a bad start to the New Year!